Ghost In The Shell helmer Oshii Mamoru has been clear about his intentions for his live action Patlabor: The Next Generation project right from the beginning. Like the original animated effort the story would begin with a light hearted, comedy oriented television series revolving around a quirky squad of cops charged with policing the use of giant mechanized robots in criminal enterprise. Things would then gradually become darker and culminate in a feature film project directed by Oshii himself. 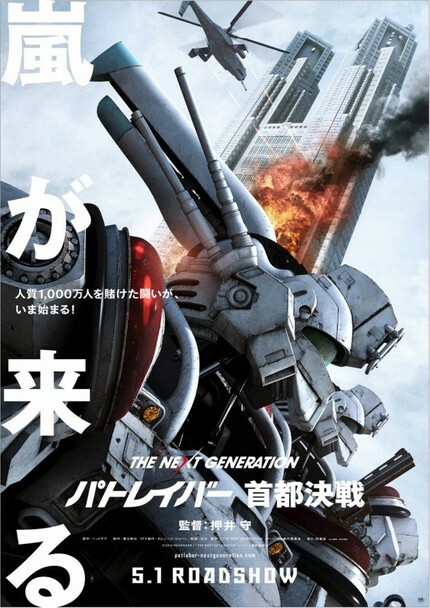 Live Action PATLABOR News: It's A Series And Also A Movie ! I love the Patlabor universe. This looks cheesy as hell. I'm in. I'm betting I'll have to import this.